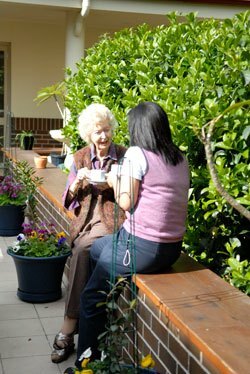 Columbia Aged Care recognises and values the critical input of all staff in the overall running of the organisation. To facilitate this continued input, Columbia Aged Care understands and encourages the importance of ongoing education for its staff. This is in addition to the standards required for our accreditation. Areas of education currently include both the clinical and physical aspects of our business. This commitment to ongoing education will ensure that not only are our residents benefitting from receiving the most up-to-date care provision, but that our staff are continually enhancing their skills. The annual staff personnel appraisals are also utilised to ensure that we are constantly assessing the training and education needs of our staff. These assessments are incorporated into our Continuous Improvement plans resulting in staff who are continually learning, thereby allowing them to take advantage of the opportunities and challenges that they experience everyday in the Aged Care industry. This ongoing education also allows Columbia Aged Care to provide career advancement within our organisation for those who continually aspire to greater knowledge and responsibility. To request an information pack or to find out more, please fill in the form below.